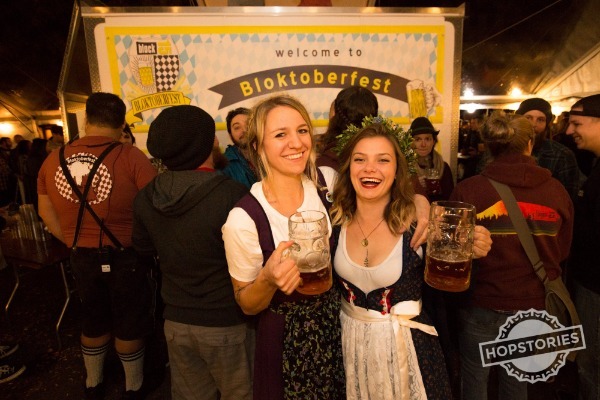 In celebration of the changing season and in the tradition of the German Oktoberfest, Block 15 is hosting their 10th annual Bloktoberfest on September 28th and 29th. The event offers Block 15 beer served in authentic tankards - including their seasonal Bloktoberfest release - German-inspired food, live music, yard games, and big-screen college football action featuring Pac 12 matchups. Admission is $5 for both days, with a valid wristband. Free admission for anyone wearing German-themed clothing. Bloktoberfest happens on Jefferson Ave., between 3rd St. and 4th St., by Block 15's downtown pub. Bloktoberfest is open from 4 p.m. to 11 p.m. on Friday (minors welcome until 8 p.m.), and from 12:30 p.m. to 11 p.m. on Saturday (minors welcome until 8 p.m.). Friday's musical lineup features the Brutal Bridges Band (4 p.m.) and DTW (7:30 p.m.). Saturday's lineup offers the Guten Zeiten Band (1 p.m.), the Incompatibles (4 p.m.) and Space Neighbors (7:30 p.m.). On Friday, see UCLA at Colorado on the big screen starting at 6 p.m. On Saturday watch OSU at ASU. Times and remaining games TBD, based on Pac-12 scheduling.